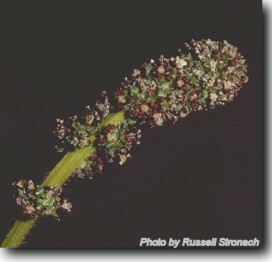 Small green or purplish flowers in a long interrupted spike which is denser at the tip. Perennial herb with foliage in tuft or rosette, hairy below. Widespread on roadsides and in native pastures.